Javier has been training martial arts since 1985 starting in TaeKwonDo as a result from being bullied in school. Earrned 3rd Degree Black Belt in TKD and worked as a Head Instructor. 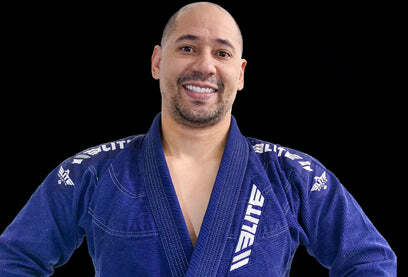 At age 32, started training in Brazilian Jiujitsu in order to add to his skill set as an instructor. Under the guidance of Mike Mrkulic, received his black belt in 7.5 years. 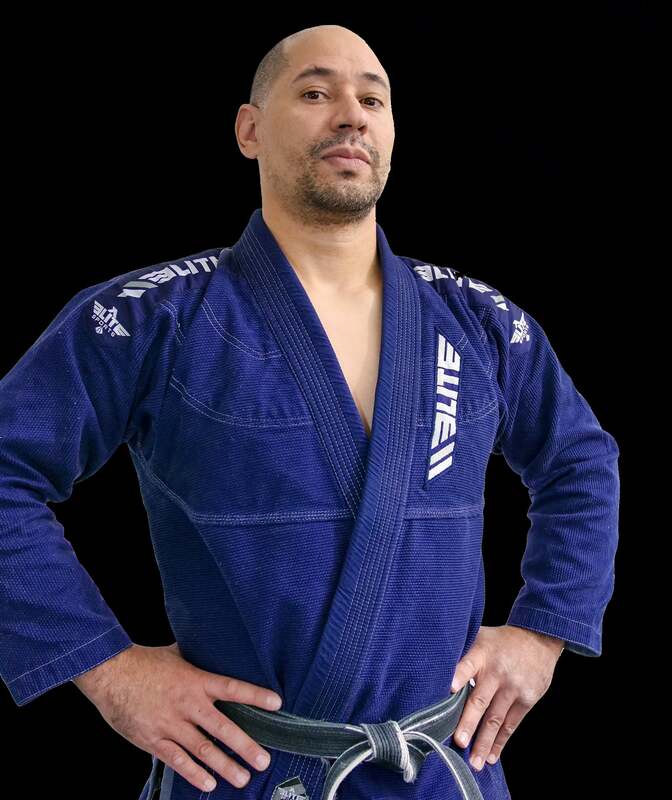 As a Black Belt he has competed in the NABJJF and earned a Gold Medal by default and in NAGA earning Double Gold in NoGi and Gi. Looking forward to increasing his competitive career. 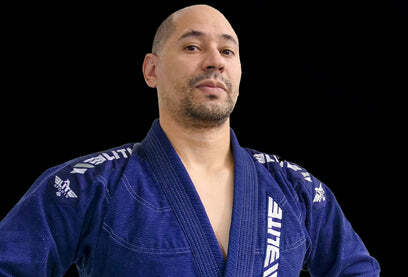 - Black Belt earned in 7.5 years from Mike Mrkulic, Opened academy as Purple Belt..
Answer: For newcomers, I would suggest to focus on the core principles of the art; there is plenty of time to learn the fancy stuff. Train smart, drill mindfully, and tap often. Look to become 1% better every practice. Answer: To be a fighter means you have prepare, adapt, and persevere. Answer: Quality people, quality coach(es), and quality equipment like Elite Sports Company gis and nogi apparel. Answer: I trust my Jiujitsu entirely. Answer: Success isn’t entirely based on results; it’s living the JiuJitsu lifestyle, learning more about yourself, and becoming 1% better everyday. Answer: Never thought of it honestly. Answer: Slightly, less grains. I generally eat the same things every day. Answer: A beginner should focus on the technique first and foremost. While physical condition is important; train and drill your core movements. That will help the most. Answer: In a tournament, not really. In a superfight then absolutely. Answer: Martial arts are important to the common person to develop fitness, mental, and emotional strength. Self Protection is always better to have and not need. Answer: The first tournament after my instructor passed away. I remember looking up and saying “Mike, watch out for me out there.” I won that match by ToeHold, one of my instructor’s trademark submissions. Answer: Be mindful, develop yourself, and dedicate yourself to service; one can effectively become a leader in this way. Answer: Honestly, I don’t know. Question: 14. How is the road plan necessary for any competition? Answer: Road Plans (Game Plans) are important. Proper mental and physical preparation will make the competition less stressful. Question: 15. Do you have any advice for your competitors? Answer: Trust in your Jiujitsu. Answer: Very important. If your equipment can’t handle the rigors or training and competing; then you need equipment like what Elite offers. Answer: We should learn we aren’t perfect. There is always something you can learn. Our job as Black Belts is to ensure the art continues to grow and maintains its integrity. Most important pay it forward. My inspiration will always be Mike Mrkulic. Answer: Mike Mrkulic for his mentorship, all my past training partners, and now Christopher Might and the team at Diesel Training BJJ. Question:19. Who is your favorite legendary fighter? Why? 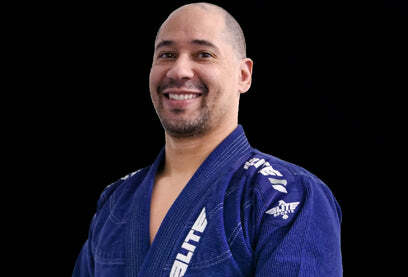 Answer: My favorite legend is Marcelo Garcia. 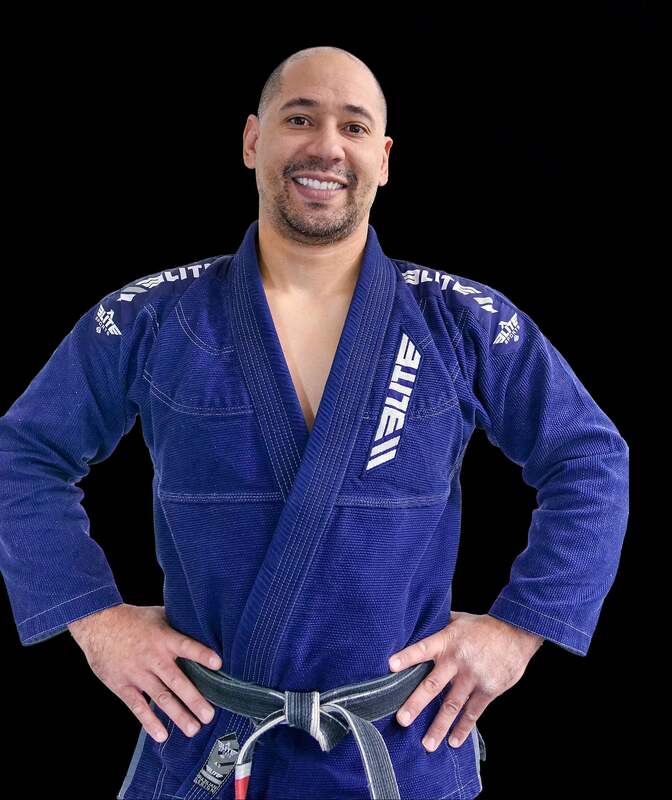 Not only is he one the Jiujitsu GOATs; his personality and his energy is simply amazing.